This was the first public statement by the former strongman since President Maithripala Sirisena appointed him as the new premier after sacking Ranil Wickremesinghe on Friday night. New Delhi: Sri Lanka’s newly-appointed Prime Minister Mahinda Rajapaksa on Sunday called for a snap parliamentary election to allow people to vote for a new programme to overcome the island nation’s economic and political crisis. “The primary objective of the political party leaders and parliamentarians who have joined me is to immediately hold the provincial council elections that had been postponed continuously and also to call a parliamentary election as soon as possible so as to give the people the opportunity to vote for a programme that will bring the country out of the encompassing economic, political and social crisis,” he said. Rajapaksa’s return to power ended a more than three-year-old coalition government that was formed by Sirisena and Wickremesinghe on a promise to combat corruption and financial irregularities. Sirisena’s broader political front United People’s Freedom Alliance (UPFA) quit the unity government with Wickremesinghe’s United National Party (UNP). He said he was invited by Sirisena to accept the post of the prime minister after the president’s party left the unity government with Wickremesinghe. “Today our country is in a state of uncertainty. Details of a plot to assassinate the president and the former defence secretary have come to light. Those involved in this conspiracy are being exposed by their own actions,” he said. Sirisena had last week accused Wickremesinghe of going slow on the investigations after a man named Namal Kumara, in mid-September, disclosed the alleged plot to assassinate him and former defence minister Gotabhaya Rajapaksa. 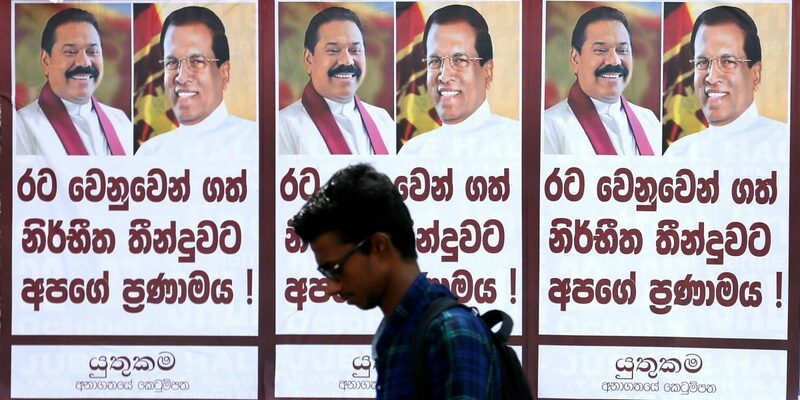 Sri Lanka’s next parliamentary elections are not due before February 2020. However, the next presidential election must be called prior to that. Wickremesinghe, who has termed his sacking as unconstitutional, claims that he is still the legally appointed Prime Minister with a parliamentary majority. He had sought an emergency session of the parliament to prove his majority. However, Sirisena suspended the Parliament till November 16. Speaker Karu Jayasuriya on Sunday questioned the president’s decision to suspend parliament till November 16, saying it will have “serious and undesirable” consequences on the country. Additionally, the political crisis took a deadly turn on Sunday, as one person was killed and two wounded when a sacked cabinet minister tried to re-enter his office. Arjuna Ranatunga, petroleum minister in Wickremesinghe’s ousted cabinet, tried to re-enter his office at the headquarters of state oil company Ceylon Petroleum Corp and one of Ranatunga’s security guards opened fire. The standoff has important geopolitical implications in a country long influenced by India, and which became massively indebted to China to finance huge infrastructure projects during Rajapaksa’s decade as president. Most of Sri Lanka‘s foreign allies including India, the European Union and the United States have urged Sirisena to abide by the constitution. But China, long seen as a supporter of Rajapaksa, congratulated him on becoming prime minister, drawing accusations from Wickremesinghe’s supporters that Beijing was behind the attempt to change the government. Chinese officials deny interfering in Sri Lanka‘s affairs. 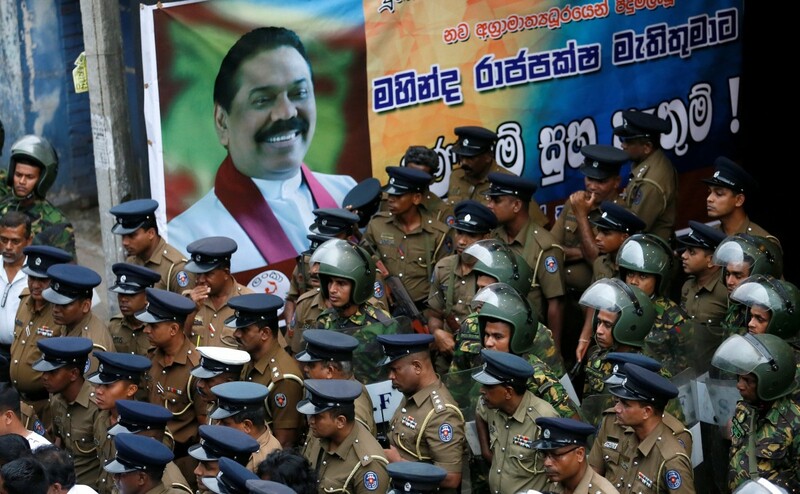 India and Western countries have concerns about Rajapaksa’s ties to China after he ushered in billions of dollars of investment from Beijing to rebuild the country following the end of a 26-year war against Tamil separatists in 2009.